The piece below gives a biography of Yangdon and an overview of her literary career. An English translation of short story “A God Without Gender” by Yangdon from the original Chinese was published in MANOA, University of Hawai’i Press in 2000. Read another profile of her over on the website Women and Gender in China. Sadly Yangdon passed away at her home in Beijing at the age of 54 in October 2017. Yangdon: Female, Tibetan. Graduated from the Chinese Department of Peking University. In 1997, she joined the China Writers Association. Her novels have been awarded with the the China Writers Association Minority Literature Creation Award. 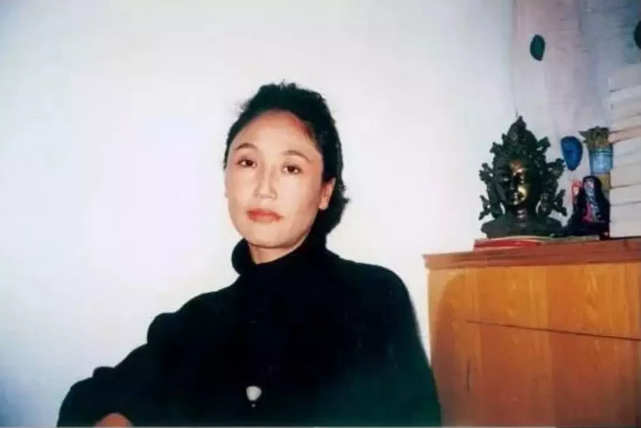 Parts of her works featured in the “Collection of Excellent Works of Chinese Contemporary Tibetan Writers”, “New Tibetan Novels”, “Listen to Tibet” etc. and were translated and published in the UK and the US. In 1994, her novel “A God Without Gender” was published as part of the China Youth Press 1990’s novel series. It was the first novel by a female author in the history of Tibetan literature. It was adapted into a 20-episode-long TV series called “The Tale of Lhasa’s Past”. The novel presents the various conditions of Tibetan aristocratic families and nunneries in the early and mid 20th century from the perspective of the second daughter, Yangkyi Dolma, of the aristocratic Dekhang family. It reproduces the social customs and life in Tibet during a period of historical change, presenting an artistic image of different social groups, including aristocrats, officials, lay people and nuns. Today, she does not produce as many novels as she used to, but listening to her accounts of her past authorship and understandings about Tibetan women and female literature is a hard to come by enjoyment. Sochung: Hello Yangdon La, we are more or less the same age and I have been following your work for a long time, so my first question would be why your novels are so different from other magical realism novels of the same era and how they came to possess such a unique perspective and writing skill? Your works all focus on Tibetan women, why is that? Yangdon: At the time, magical realism came to be very popular in China; and Tibet was also greatly influenced. Whoever enjoyed literature at the time would have read “One Hundred Years of Solitude”. I also read it and was shocked to find out that this could be a way to write novels. Subsequently, Tibetan magical realism novels also quickly appeared in Tibet. Authors were those who entered Tibet University or those who had grown up in Han-Tibetan mixed families in China. I felt that Tibet was certainly a little bit strange or alien to these people; they came to realise that everything in Tibet was different from their own previous lives, so they felt shocked and curious, which then turned into great imagination or, rather, great magic. This, together with their artistic talent and training, generated this batch of authors. Among them, the most talented person was Tashi Dawa. When his works came out, we all tried to be the first to read them; each one of them held many surprises for us. As for myself, I grew up in Lhasa and everything about the city has been an innate part of myself. Living in this environment meant that I never generated this unconstrained imagination, everything was just ordinary, everyday life to me. Moreover, I previously studied in Beijing for four years, where people had absolutely no idea about Tibet and kept asking me the weirdest questions. It was as if I had come from a different planet. I felt that I had to represent Tibetan life as objectively as I could, which is why the question of how to realistically reflect on and represent my homeland naturally became the goal of my writing. Also, I am a woman, which is why I naturally pay more attention to the life and fate of other women. In Tibetan history and literature, the image of women has been very weak and largely ignored. But in reality, women’s lived spaces have been vast, they have contributed a lot to social life; so, Tibetan literature without women would be incomplete. This is why I put a lot of effort into this, which also makes me different from them. Sochung: What is your understanding of Tibetan women and female literature? Yangdon: One of my novels, “A God Without Gender”, was published in the early 1990s. From the perspective of an aristocratic girl, Dekhang Yangkyi Dolma, the novel reflects the rise and fall of a family. Apart from trying to objectively portray life in the old Tibet, I also describe the fate of females in modern Tibet. More precisely, I first narrate chronologically the position of women in Tibetan culture. In the old Tibet, especially in the cultural centre of Lhasa, women were still less noble than men, but families who gave birth to a daughter were still very happy. In fact, some even hoped for their first child to be a girl, so that when she was a bit older, she could help the parents with housework, look after her siblings and would ultimately have a favourable impact on parents’ life expectancy. The idea of valuing men and belittling women was not as strong as in other places and among other ethnic groups. At the time, social development was relatively backwards and material conditions quite bad, many women had no education opportunities. Many poor families would give priority to educating their sons, because they would later go out into society. Women, on the other hand, regardless of how intelligent they were, would only appear in public with their spouses, even if they were wives of high ranking officials. If a girl was born into a wealthy family, especially in the city, at the age of six or seven, they would be sent to private school as long as economic circumstances permitted; she would not be deprived of her right to education only because she was a girl. In private schools, apart from learning how to read and write, they also learned mathematics and accounting. Of course, this was to enable them to take care of family matters beyond housework later on. Even wealthier families who sent their daughters to private school would later, together with their sons, send them to India to study at British Christian schools. Of course, I am only talking about daughters of wealthy families. At the time, most children in Tibet and other places were poor; girls and boys often did not have any education opportunities at all. The historical archives of Tibet are second only to the Han people in China. In the past, many places in Tibet would keep large quantities of records on social reproduction, living conditions and marriages. For instance, families wedding contracts, pre-marital property registers, how they would redistribute their property in the case of divorce and so on were all kept. These documents show the position and power of women pertaining to property and marriage. Many of them have been well-preserved and I believe that we can learn a lot about women’s position through these records. In the old Tibet, a woman’s marriage was mainly decided by her parents or head of household. It did not matter whether she agreed or whether there were any feelings. It was done strictly according to rank. So marriages followed the rules of “intra-rank marriages” and “affinal marriages”. As soon as a marriage had been decided on, a detailed contract would be agreed on. So to sum up, female marriages in the old Tibet were not free, but within these arranged marriages, there nevertheless existed a certain degree of decision-making power. If the couple was not good together, a divorce could be proposed. It was often women who asked for a divorce. Reasons could range from her husband being an excessive drinker, a gambler or having extramarital affairs. Divorce would be a result of a process of negotiations. The divorce document would be as detailed as a the marriage document and included details on arrangements for the wife, compensation for her and the children, visitation rights and a settlement pertaining to all family property. When women divorced, they were allowed to keep their dowry, she had the authority over all her property. The detailed premarital agreement guaranteed legal protection of women and their property. Even without divorce, the husband rarely had any right to get involved in his wife’s property. She could transfer it, inherit it to her children or siblings or donate it to a monastery. In Lhasa, regardless of their husbands’ societal position, women could always open a tea house, hotel or inn; they could also run a market stall and engage in small business. Many women used this to justly and honourably earn some extra money. In reality, many women were responsible for the family property. Just as I describe it in my novel. Master Dekhang’s wife would always have a chain of keys around her waist when she was at home, which indicated that she was in charge of the family, while the master was busy taking care of work outside. When he passed away, all decisions were made by her, including buying a title for the new master who had come into the family, pawning her jewelry and even renting out the manor. The new master, unless he had extraordinary skills, would never have access to the family’s property. Of course, in a patriarchal society, whenever people came in from the outside, a woman would give face, otherwise she would be criticised and not believed to be a woman of good virtue. But back then, just like today, there also existed career women; they worked as doctors, business women, had their own carpet workshops etc. I won’t go into the details now. Sochung: What you described refers to women of the secular world, so did Tibetan Buddhism have any impact on the position of women? Yangdon: Tibetan Buddhism believes in reincarnation. One person who is a man in this life, might be a woman in another. Or a woman may be reincarnated as a man. For example, Jetsun Rinpoche of Shugsep Nunnery was a very famous female Rinpoche in a previous life, but was reincarnated as a man in this life. One’s gender is only relevant for one’s current life. The Kagyu school of Tibetan Buddhism established the reincarnation of Rinpoches, namely that “everyone can become a Rinpoche” without any gender divisions. Hence, in theory females have the same social position as males. In the old era, when a woman reached the age of marriage, she could either assume her position in the secular world or she could choose to dedicate her life to religion, in which case there would be no classes or ranks. If a woman did not want to marry and refused to become a housewife, she could become a Buddhist nun. Some left home to become a nun due to their beliefs; but some also did so to break away from housework; again others just pursued a relatively free and peaceful life; some suffered from bad health and after visiting a fortune teller, they would decide that becoming a nun would be beneficial to their health. So we see that the reasons were manifold. Sochung: So how do people from other ethnic groups think about this? How much do they know about Tibetan women? Yangdon: The well-known Tibetologist, Mr. Li Anzhai, worked in the old and the new China. As sociologists, he and his wife spent time doing sociological and anthropological fieldwork in Tibet during the 1940s. They discovered that compared to China, Tibetan women enjoyed significantly more power and that their social position was relatively higher. For example, they could free themselves from the subordination to men, they could express the wish to become nuns; Tibetan women did not need men to act as their guardians, they were able to continue taking care of the family property and economy; they could also freely break off a marriage etc. So, Mr. Li, as an expert and consultant on Tibet, once suggested that Chinese women should also gain the same social status as Tibetan women. Many western scholars also highly praised the diligent and optimistic nature of Tibetan women as well as their social position. Generally speaking, Tibetan women were better off in terms of their position in society compared to others during the same era. But of course, judged by today’s standards, they were still controlled and discriminated against. For instance, women were called “Kyemed”, most of them did not have access to education, and even if they did, they mainly went to private school or studied Buddhist scriptures and when they were adults, they were responsible for housekeeping, the management of family property or sometimes the preparatory work for business activities. Some prayer halls in certain monasteries even prohibited women from entering. This situation was only completely changed in 1959, during the democratic reform of Tibet. First of all, women’s education, labour protection and health began to be valued by the government and society. In today’s Tibet, men and women are equal, they have the same education opportunities. Women are influential in many important and strategic positions in areas of agriculture, industry, transportation or hydroelectric power. They are well-educated and contribute to research, education, health and innovation. Along with societal development, Tibetan women not only get equal pay for equal work, they also have the right to be involved in politics and assume political positions. We now find many women in leading positions of all ranks. Sochung: Right, you are also a female author who emerged during this era. Do you still commonly pay attention to female authors? Do you have any opinions on the younger generation of authors, especially female writers? Yangdon: When we started out as writers, we almost had no models to go by, we had not read any female Tibetan authors’ works or novels and even less long novels. Female Tibetan literature has an extremely weak tradition. However, it developed very quickly. The achievements of this new generation of female Tibetan writers speak for themselves. Many of their works go far beyond sweetness and love, kind heartedness and motherliness or superficiality; they are not inferior in any respect to the grand works of men that focus on the big issues of our times. For example Nyima Penthok’s “Purple Highland Barley”. Phuntsok Tashi gave me a copy and I finished it in a few days. I loved it! It was one of those novels that I had not read in many years. It describes rural life in Tibet in a very realistic way, one can feel the atmosphere of the countryside. This kind of life is alien to me, but the stories are full of details and information, narrating the joy and hardships of this form of life. If someone wants to understand agricultural life in the new Tibet, this long novel is a must read. These young writers really contributed to Tibetan literature. I hope that they will understand Tibetan culture and history even more. From their works one can sense that they are reflecting on the culture and fate of the Tibetan people that they want to convey the real life and spirit of Tibet to the world. Sochung: Unlike many other authors who write about Tibet, your works look at Tibet in a neutral way, you don’t look up to and also not down upon Tibet. As a local writer, what is you literary perspective on Tibet? Yangdon: I was born in the 1960s; from a very young age we were taught that the old Tibet was “the darkest, most backwards and cruelest place,” as if people were living in the dark Middle Ages. In the 1980s, I came across some western literature that described old Tibet as “Shangri-La”, as the “Pure Land”. Today’s backpackers and youngsters, again, describe Tibet as a “brilliant smile” and a “place of happy people” etc. Well, which one comes closest to the real Tibet? In the past I went to Bhutan for travel and realised that this country’s tourism strategy was extremely successful. From an ordinary tour guide to politicians, everyone maintained a very particular “image”. But was Bhutan really a place with such a high happiness index? The beautiful photos of the king and the princess were everywhere, from the airport, to the hotel, to the restaurant, to shops and simple farmhouses, simply everywhere. After I while I got tired of and even annoyed by them. I asked some locals why this was the case and they told me in private that the government requested to put them up or else they would be penalised. I also noticed that their hierarchical structure was very prominent. So from my perspective, happiness is not just about the superficial glitter. The hierarchical system is also quite pronounced in the old Tibet, which of course was not good, and the economy, culture and education were also backwards. But I cannot agree to ideas that Tibetan traditions were the cruelest. In the past, almost all Tibetans were religious. Buddhism advocates compassion and kind-heartedness and the abandonment of hatred and mercilessness. This kind of culture would naturally nourish the existence of many kind and good things, to go and save lives, to do good deeds and to do everything to protect the environment and natural resources. For example, some of those who opened private schools or medical centres would, for charitable reasons, give children from poor families the opportunity to go to school and receive medical treatment. When we speak about beauty, only if the spirit is in peace, can one feel beauty and pursue beauty. This is also why Tibetans like to decorate and paint their houses beautifully, this is why they like flowers and colours. 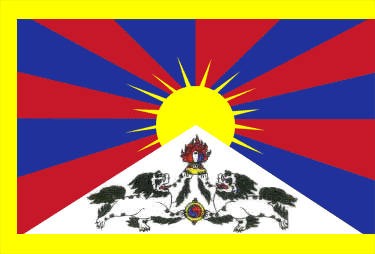 I am also doubtful about the idea that the old Tibet was most backwards. I have been to over 20 countries around the world, from old European countries like the UK and France to the economically advanced US and Japan. I have not come across any monument that is grander or more magnificent than Potala Palace. Potala Palace is an architectural complex that combines architectural skill with aesthetics. Those who designed and built it did not only consider its outer appearance and majestic presence, they also implemented sophisticated anti-earthquake, fire and lightning protection measures. This is also the reason why it has been towering majestically above the city for 400 years and continues to attract people from all over the world. I am sure that tourists do not come to Tibet to look at high-rises built from reinforced concrete or to experience newly-built wide asphalt roads; they come to experience an old civilisation, they come to visit the Potala Palace and of course the unique natural environment. A backwards ethnic group could never have built such a grand building. It is these things that I, as a native writer, reflect upon in my writings about my own culture and that I introduce as objectively as possible. Of course, I have my own thoughts, that is, after all, the responsibility of a writer. Sochung: Could you describe your understanding of Tibet in a few simple sentences? Yangdon: I believe that Tibet is not merely a “Shangri-La” or the “Pure Land”, it is even less a “most backwards, most uncivilised, darkest and cruelest” place. Tibetans, like any other ethnic group, have their strong points and their shortcomings. Since our ancestors accepted Buddhism from India in the seventh century AD, they began to move away from the Tang Dynasty and the violent, war-ridden western regions to pursue peace and spiritual life. Of course, it was a long and complex process full of hardships, diversions and even big mistakes; but this just reflects humanity itself. Hence, Tibet’s beautiful face, but also its ugly face are both not found in the soil of Tibet, they are are found in the spirit of the people who live on the soil. The duty of authors writing about Tibet is to portray the complex and unique spirit of Tibetan people and to portray the suffering and the joy and the complexities and difficulties of different eras. One must not simplify or essentialise Tibetans.